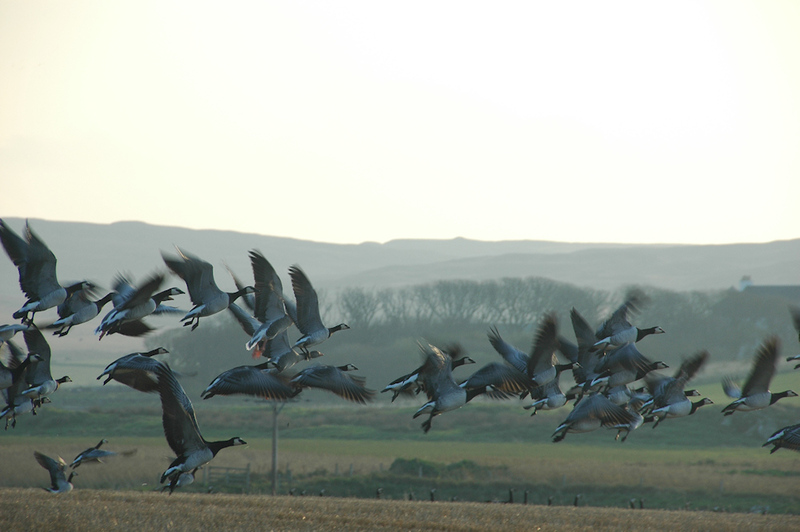 Some of the winter visitors to Islay, some of the approx 40,000 Barnacle Geese. These were near Rockside Farm in the west of the island on a hazy October morning. This entry was posted in Landscape, Repost, Sunny Weather, Wildlife and tagged Barnacle Geese, Islay, Kilchoman, Rockside Farm by Armin Grewe. Bookmark the permalink.